Typically, products such as cable trays, cable ladders, and cable baskets are used to support a cable through cabling routes. The IT industry has special needs because, unlike heavy power cables, data cables often need to be added, moved, or removed many times during the life of the installation. 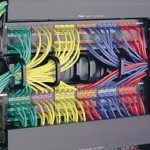 It is usual practice to install “fixed cables” between cabling closets or cabinets. 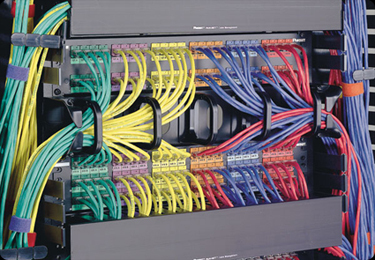 These cables are contained in cable trays etc., and are terminated at each end onto patch panels in the communications cabinet or outlets at the desktop. The circuits are then interconnected to the final destination using patch cords. The difficulty is that these patch cords are installed, removed and reinstalled many times during the life of the installation. Cables can easily become tangled, making them difficult to work with, sometimes resulting in devices accidentally becoming unplugged as one attempts to move a cable. Such cases are known as “cable spaghetti”.